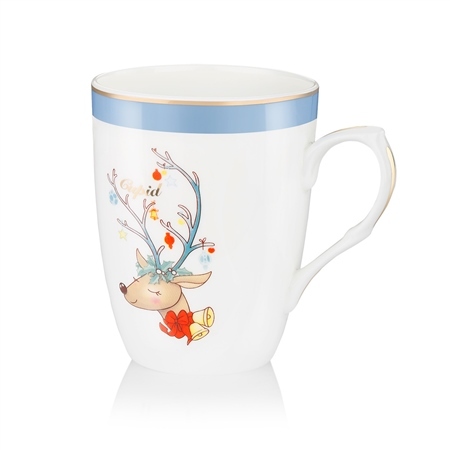 Warm your heart as you sip your favourite beverage from this superbly animated reindeer mug, make this festive season extra special for someone with this thoughtful holiday gift. Cupid' fine bone china Christmas mug with gold decal, presented in a Carleton Varney Newbridge Silverware gift box. Product dimensions 110mm x 118mm x 51mm. Mug capacity 440 ml (15 fl oz). Not suitable for use in a dishwasher or microwave, Hand wash only.